My name is David Fidalgo, also known as “Bricks”. I’m one of the CoFounders of La Calle es Nuestra, one of the most important Collectives in the Spanish Community. At my beginnings in Street Photography I used to shot with a heavy full frame system, which was also very noisy (when you use the burst mode in this kind of systems, you feel as if you are in the middle of the war with an AK-47). That’s not nice for Street Photography (at least for me). 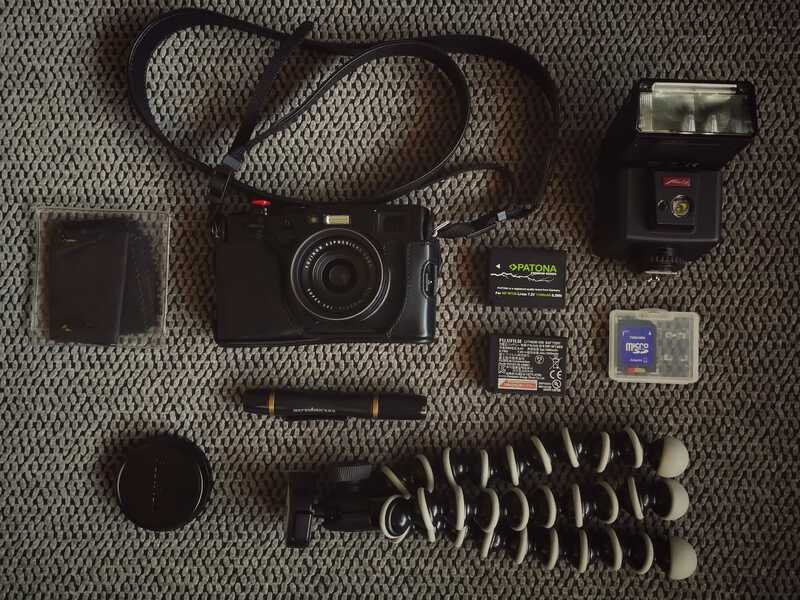 Last year I bought the X100F compact system and everything changed. Now I go everywhere with it and feel like a ninja… silent and lethal. That’s why my advice is that, talking about cameras for Street Photography, smaller is better (maybe not in terms of pure quality, but your pictures will look more candid and original). 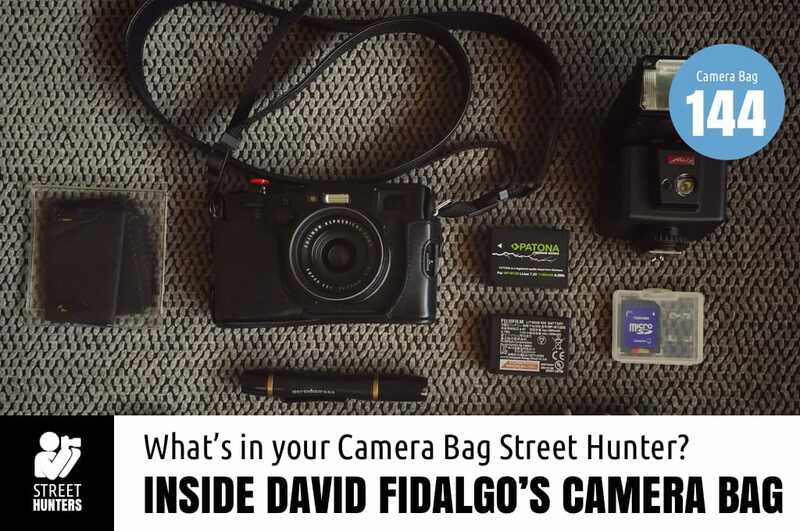 Let’s check what’s inside my bag! Thanks for taking the time to read this article. See you on the Streets!